The photo gallery is updated every few months. Be on the lookout for some more great pictures of Strawn and the area. "Like" us at facebook.com/StrawnChamber to get updates when new galleries are launched. The Museum is governed by a five-member Board of Directors. The Board meets on the second Tuesday of each month at 6:30 p.m. in the Council Chambers of City Hall. All members of the Museum are welcome to attend meetings. Membership is open to all who are interested in preserving the history of Strawn. Term of membership is one year and is renewable annually, with the exception of those who join as lifetime members. To join, please fill out a membership form and send, along with payment, to the Museum's mailing address. The Strawn Historical Museum has a history of charitable action to benefit its citizens. This one-room tile structure was built in 1953 to provide housing for Boy Scouts in the community and first carried the name "Boy Scout Hut." On May 8, 1953, the City of Strawn, acting through Mayor Paul L. Stephen and City Aldermen, granted use of a parcel of land to be used for Boy Scouts. The stipulation was that if the Boy Scouts ceased to use the property, it would revert back to the city. City Aldermen Perry R. Horton, Pat Hinkson, and Dr. Paul Pedigo served as Trustees and promoted construction of the Boy Scout Hut. Paul L. Cox, a local citizen, did the tile masonry work. As time passed, the Boy Scout organization discontinued meeting in Strawn. Through a vision and desire of the Development Corporation of Strawn to continue use of the building to benefit its citizens and surrounding communities, they restored the structure and designated it for a museum. In February 2001, a group of interested citizens met in the building and officially renamed it as the Strawn Historical Museum. 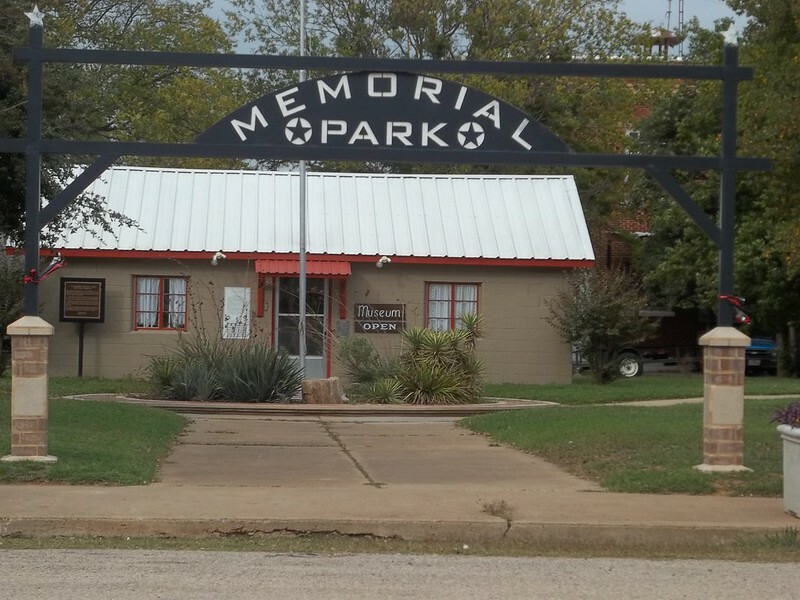 A Memorial Park, which surrounds the Museum, has since been added as a further tribute to Strawn's pioneers, founders, and past and present citizens. Strawn has a rich heritage dating back to the 1870s. The purpose of the Strawn Historical Museum is to protect, preserve, record, and share the history of its early pioneer settlers and continue through future generations. The Museum houses a varied collection of photos, newspapers, furnishings and artifacts from homes and businesses, and other memorabilia that has been donated. The Strawn Historical museum offers engraved bricks to individuals, groups, clubs, and businesses as a fundraiser and a way to remember Strawn's founders, pioneers, and past and present citizens. Memorial bricks have been placed in a circular pattern in front of the museum, and additional bricks can be added at any time. A brick may be purchased either "in honor of" or "in memory of" a designated person(s) or group. Please help us preserve our history and support the future of our Museum by ordering a memorial brick. 1905 - First-class cricket debut of Sir Jack Hobbs, "The Master" for Surrey v the "Gentlemen of England"